Love pets or dream of owning some? 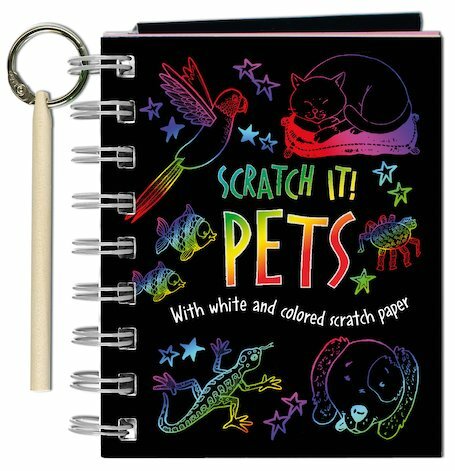 Now you can scratch your own rainbow-coloured zoo. Bring all your favourite pets to life in bright and beautiful portraits. 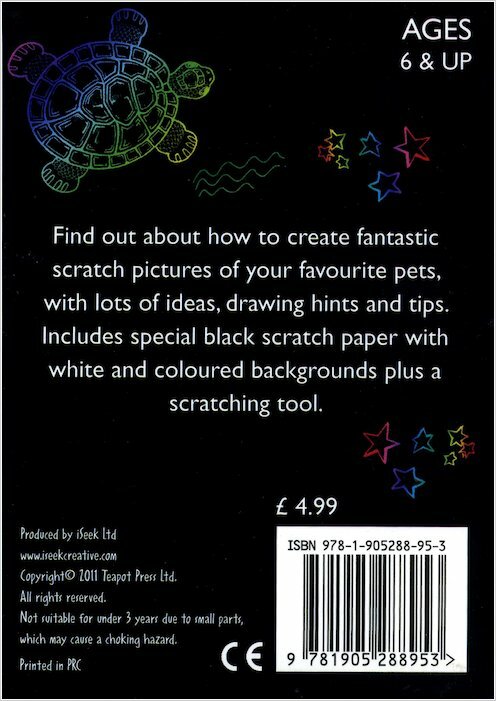 Ready, steady… scratch! 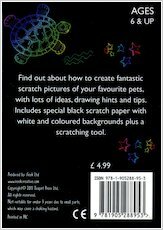 Follow the simple steps to create puppies, kittens, rabbits, horses, tropical fish or really wild critters. Stick your finished pictures on the wall to make an instant zoo. Wow! I haven’t seen such a cool book!♥♡ This would be ideal, for boring rainy days! I am ordering this book can not wait to get it!!!!!! SCRATCH!! SCRATCH!! SCRATCH!! THIS COLOURfull book looksb great!! have fun scratching!!!!! because this looks brilliant! !